This article will tell you how to create habits that push you toward reaching your success. Why do some people achieve success while others struggle? 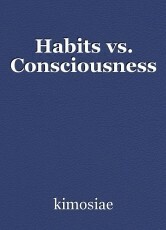 Habits vs. consciousness. A habit is something you do everyday to naturally make your life more efficient. It makes it more efficient because during those times of going through a habit you don't have to be conscious. This allows you to free your mind of the task at hand, and think of things that can be "more important" like finances, or whatever else you rather think about. If you self-reflect on your own life you will begin to see the habits that created the life you're living. When you see these habits you then begin to make decisions of whether or not they are the best for your life. What makes a good habit? In all honesty there are no good habits because any habit good or bad means you are unconscious. It's important to be conscious at every point of your life so you can make decisions based on what you know is the best thing to do rather than what your emotions or habit is telling you. Although being conscious every moment of your life is always the best choice this takes a lot of practice. While you are still practicing this skill of being present you can begin to make the right changes slowly. The best way to start this process is every morning when you wake up the very first thing you do instead of checking Instagram, or twitter is ask yourself "What is the greatest ideal of myself that I can be today?" When you ask yourself that question you will know the answer, but because you have already set a program for yourself your body will tell you that you need coffee, or you're tired. At this point, you need to tell your body "I'm in control, I will get you your coffee and rest when I'm finished doing what I need to, but right now you need to obey me." This will be the first step in breaking your habit, and you can finally start to create a new one. Every time the body wants to go back to your old habit you become aware of it, and bring your mind back to the present moment. Everytime you do this is a victory, and you will start to change an aspect of yourself to what you want to become. This is how you can change your bad habits to good habits, but as I said before the best way to live your life is to not have any habits in the first place. This will free you from the mundane routines that end up controlling your life, and putting you on a path towards dullness. The reason it's important to live in the moment is because you will always have the power to make choices based on what you truly want for yourself. If you are completely conscious you wont allow emotions or past experiences to determine the decisions you make. 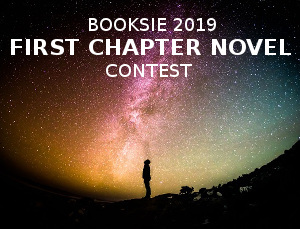 © Copyright 2019 kimosiae. All rights reserved. Is it possible to believe in science and God? This page was created in 0.6020 seconds.